Are you running out of promising business ideas? You may try creating a local version of a popular product that is unique to another market. Here are two examples. In 2010, Nowie and Odette Potenciano, the couple behind FIC Summer Café and Fling Frozen Yogurt, noticed that frozen desserts were becoming more popular than ever. Soon after, they conceived a new concept, the Mochiko Café. Mochiko Café (mochikomochi.com) puts a cool new twist to the traditional Japanese dessert of mochiko—glutinous rice cake with a core of red bean paste—by substituting ice cream as the pocketed ingredient. 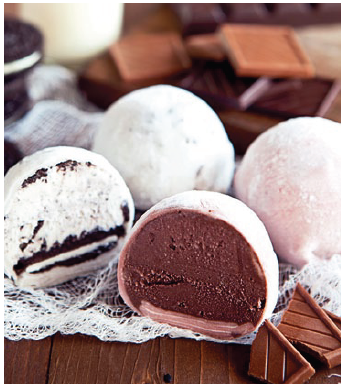 Each Mochiko mochi offers several textures and flavors. Biting into a Potato-Chip Chocolate Mochi, for example, one enjoys crunchy, chewy and creamy textures, as well as saltiness, sweetness, and the richness of chocolate—all in one go. “It’s not a one-note product,” says Nowie, explaining its popularity. From the first Mochiko Café in Tagaytay, there are now 14 shops, all company-owned, in Metro Manila, Pampanga, Baguio, Cebu, Davao, and Cagayan de Oro. The Potencianos also get queries about opening a branch abroad, particularly in the United States. Copycats abound, obliging the couple to continuously innovate. “We lead with new flavors… every three months,” says Nowie. Mochiko Café currently has 17 regular flavors. Sales dip from July to October, but the summer months make up for it. Last December, Rea L. Gomez-Harrow and Zarah L. Zaragoza-Manikan opened their “passion project”—Bono Artisanal Gelato—which is made fresh daily, minus mixes, pastes, gels, flavorings, artificial colorings or preservatives. “We don’t use anything chemical or artificial, absolutely nothing — you can feed it to a baby,” vows Harrow. 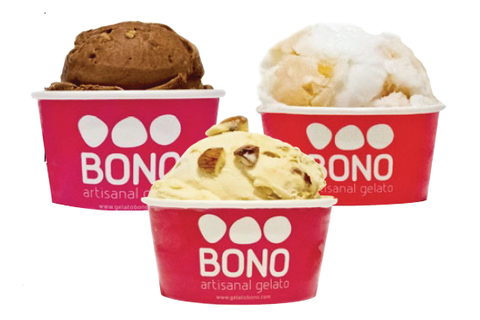 Bono (gelatobono.com) has over 20 flavors sold in cups, cones, or tubs. Pistachio and Speculoos (Belgian cookie butter) are popular, but unusual flavors such as the Chili Tamarind also garner interest. The ‘treps spent three years developing the concept, even studying gelato-making under gelato master Giacomo Schiavon at the Carpigiani Gelato University in Bologna, Italy. The gelato is blended by hand and slowly churned by Cattabriga EFFE gelato machines — Bono is the first in the Philippines and the third in Asia to use such equipment — thus ensuring a soft texture. It is then stored in Pozzetto cabinets to maintain specific temperatures per flavor, and prevent air and light contamination. The result is gelato that is good—“buono”—and makes the customer feel good. “It’s a sophisticated taste. After one bite of Bono, you’re instantly happy, you’re blissful—it’s the feel-good gelato,” says Harrow. This article was originally published in the May 2013 issue of Entrepreneur magazine.